Committed to serve. Called to love. Captivated by our mountain-moving God! Let's Be Honest...There is No "Typical". "What does a typical day look like?" is one of the many questions I get asked about living cross-culturally. To which I reply, "There isn't one." There are definitely things I love to accomplish during any day - 1st cup of coffee actually drank, kids fed, diapers changed, most of the household humans showered/bathed, school lessons finished and graded...you get the idea. But a typical day? Nah. Doesn't exist. 5:45am - 2 and 4 yr old hear aforementioned babbling and join the girly fun. 6:00am - Baby is fed/changed (yes, I've had lots of practice), and coffee is started. Praise the Lord, we do have a coffeepot that consistently makes the caffeine amount needed when parenting 5. 6:10am - 3 girls are corralled in the family room with loud obnoxious toys and instruments. Half awake I sip hot coffee, journal, breathe, read the Word (yes, it's possible to do over the noise and little people crawling on me) and pray - aloud and over my 3 sweet girls - as well as my entire home and myself. I ask Jesus to cover, protect and equip me for the hours ahead. Sidenote: If I forget to do this with authority every morning, Satan loves to grab ahold of my day and busy himself with distracting and discouraging. It goes with the territory. No, my kids don't think this is weird. Praying out loud and often is normal in our family. 6:30am - 2nd cup of coffee, older 2 kids awake, and I'm already sweating. Have I mentioned we live in the hottest area of Costa Rica? Yes, we do. I sweat some more. I check to make sure all windows are open and every ceiling & floor fan is turned on high. More sweat. Drink huge glass of cold water instead. 7:30am - Kids all fed and kitchen is mostly cleaned. Hubby definitely helps with this most days - today is no exception. Notice more cupboard crumbs from the mouse battle that ensued the previous day. Clean up crumbs. Check mouse traps. No more victims. ...I mean, uhh, little friends. Dog is going nuts barking - neighbor's cows are out and wandering all over road. Must be another broken fence. 2 yr old needs help going potty. Potty-training continues to be not fun. Check the M&Ms supply. We're good. 8am - Hubby reminds me that the head pastor/president (of the association we're working with who owns the camp) is driving over from the capital city (3 hrs away!) and will be here by 8:30am. "Remember, he called last night to say he was coming?" I have a moment of panic. My breakfast cooking skills for the "typical tico" breakfast are lacking. Hubby notices panic and tells me not to worry about anything. I make more coffee while he drives to the corner store to grab a small variety of fresh pan (bread). Hubby returns and reassures me that no, I do not need to make tico rice or eggs or meat or hot chocolate, and says that the meeting should be brief. I question if I'm being hospitable enough, then realize that hubby is cool and calm like normal - so I should be too. I tell him that he might want to change out of his paint-splotched shirt. He argues that he needs to work at the camp later, but he does change to a collared shirt. (Ticos are culturally very neat and clean, especially pastors.) He assures me again that the meeting isn't a big deal. 9:15am - Pastor has already come and gone. Hubby and I debrief. Apparently, it was a great meeting. The animated conversation was filled with excitement and affirmation of how we're growing the camp. We receive a stack of official-looking, completed documents and needed forms. Another step in the right direction. 9:30am - Hubby leaves for the 30 min. commute to camp to do some repairs. 10am - Power goes out. Older 2 groan as they are only able to watch 1/2 of the assigned astronomy video. 10:15am - Power back on. Reset a few clocks. Color and have snack with 2 and 4 yr old. Clean up spilled coffee. Yes, I drank more. Yes, we have daily spills of something liquid. 11am - Put learning video on for girls. Screeched when "Leggy", a 3 inch leaf bug who is missing an antennae and back leg, startled me in the laundry area. Not sure how he is still alive. He's moved from window to window for about a month. I kind of wish he'd leaf us alone. Sorry. Had to. 12:30pm - Kids and I finish lunch. 2 youngest go down for a nap. I begin to tackle my to-do list. Power goes out again. Awesome. 1pm - 2 littlest are finally sleeping. I have a few moments to get some to-do's done. 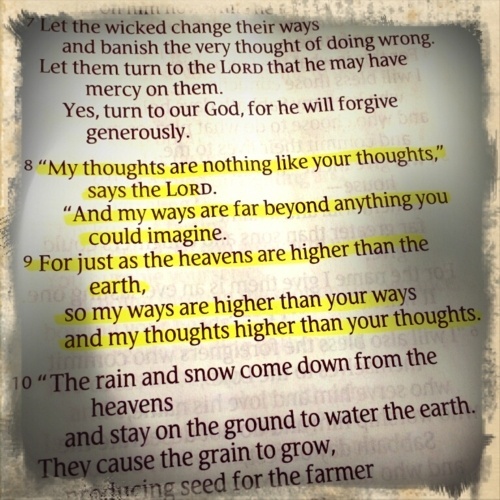 The Lord prompts me to write a few thoughts down - or type - quickly. I force myself to sit and do just that. Because only 1/2 the day is gone, I fully anticipate the possibility of more bugs, spilled drinks, maybe a surprise meeting, store-run or issue to tackle. That's life. That's our life right now anyway - cross-culturally, with 5 beautiful kids and a God-sized ministry that only He can do. When I hear the phrase, God won't give you more than you can handle, oh, how I chuckle! That's simply just not true. Many things I face in a given hour, I.CAN.NOT.DO. On my own. 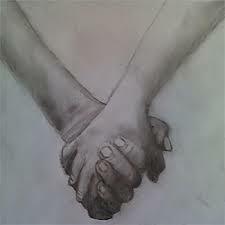 Our days are not a picnic, but expecting the unexpected and knowing we're in this together, makes me stronger. Saner (is that a word?) and steadfast - in an anchored, sort-of "I know He's got this" way. A typical day? Not here. Each one requires a different kind of grace. A different type of letting go. Flexibility that's beyond me. But not beyond Him. Jesus is always close. And as our family nears our 2 year mark of living in Costa Rica, I am simply in awe of how much He's already brought us through. Sometimes the kitchen table is needed for work. Have you ever felt like you don’t fit in the circumstances you are in? While we truly don’t understand what it is like to be Costa Rican or “tico", God in His sovereignty brought us here! He has been with us every step of the way through language learning AND He showed us this ministry. He wants to reveal His story and strength in us! He is teaching us to love well and adapt to cultural differences. 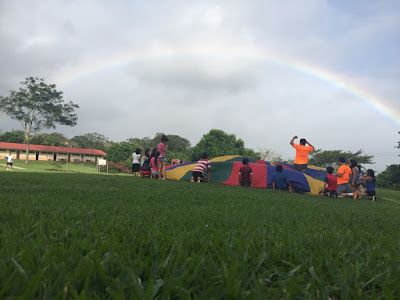 The Lord is also moving in tico's hearts to accept us and the exciting mission for future evangelism and discipleship at Campamento Bíblico Río Naranjo! In recent meetings with the AIBC (association of bible churches who own the camp property) - great vision casting and primer pasos (first steps) have taken place. The property sits in between the Tenorio and Miravalles volcanoes. Lush, green and windy describe this unique area. Rio Naranjo is located in the Guanacaste province - 3.5 hrs NE of the country's capital city, San Jose. HOW will this be accomplished and WITH WHOM? Because the camp is owned by the AIBC, most of the discipleship programming will focus on ministering to ticos from the many partnering churches in this association - children, families, teens, young adults and the pastors themselves. Initially, continuing to collaborate with these churches (to implement specific strategy) is very important!! We have many pastors and leaders to meet with, especially in the area closest to the camp property to seek what they need most for their congregations and communities. The next several months (and years!) will be spent building relationships and friendships within these churches. Timothy Training - Each church can elect future leaders to begin the training at the camp. They will then be responsible for training others in their locality. The goal is to train disciples who will train disciples and continue to grow the local body of believers. Utilizing Third Millennium we will offer leadership development and pastoral training. 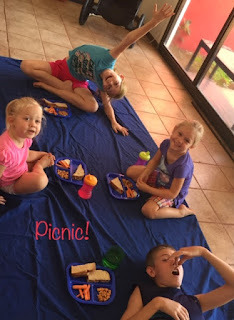 Day camps for public and private schools - (4-5 hr programs which will include a fun day of learning and lunch). English as a 2nd language is part of the normal curriculum in Costa Rica. Because the country is predominantly Catholic, there is very little resistance to including the gospel of Jesus Christ while teaching English. Camp facility updates and goals: Rio Naranjo is 3 ½ hours from 80% of the AIBC churches in Costa Rica. In its current state the facility is not viable or even desirable for people to travel the distance. So, to make this endeavor worth it – there is no choice but to update! Kitchen will require new equipment and appliances. New bathrooms and shower facilities are needed. Installation of pool, playground equipment and new picnic area. 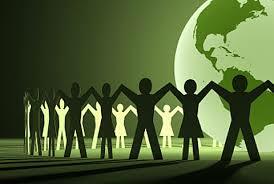 Sustainable energy projects (solar and wind generators). The AIBC has asked Aaron to be Camp Director. We prayerfully agreed with the understanding that a Costa Rican Assistant Director is needed. Appoint a new committee of individuals who will function specifically as the camp board. Fill various positions: Cook, Administrative staff, Facilities supervisor, Program staff, Project Development manager, interns, etc… with missionaries from the various churches. This will reduce the overhead needed to run the camp. The AIBC hopes to develop and fully fund this new mission at the camp property. This is certainly possible, and we feel that's the best path forward for long-term successful ministry; however, we will not deny someone the opportunity to give if they are not within this group of churches. 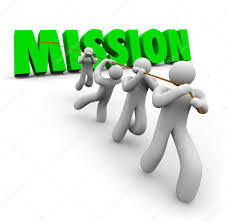 As we move forward we will be in the process of creating project opportunities to give towards, ie. playground, pool, sports or sound equipment, etc. We desire to easily allow giving from whomever feels led and the potential for welcoming future short-term mission teams - while also maintaining the incentive for the AIBC churches to truly build this ministry! Yes, God is on the move! And so are we. 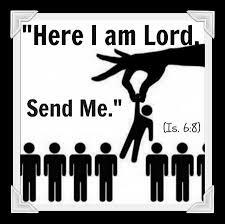 He is asking us to join Him in a beautiful new ministry, and we will be obedient. Will you partner with us in fulfilling the Great Commission..would you pray for the AIBC churches and the future of Campamento Bíblico Río Naranjo? Maybe the Lord will ask you to visit one day on a short-term team teaching English, nudge your heart to give financially or pray powerfully for this mission. We pray you will join us to see lives changed through the transforming gospel of Jesus Christ! Do you ever have the feeling tomorrow can’t come fast enough? I do. We all have hopes for what tomorrow will bring. For our family, we have dreams and aspirations of reaching our destination…and just like the story of Nehemiah we have had some come against us with words of discouragement and maybe even to stand in our way. But would you expect less? I believe that the devil is coming against us but our resolve and the reason for which we are here is to do what God has put into our heart. So, this past Tuesday we had been invited to a party for a day of celebration (Guanacaste Day) with our organization here in Costa Rica and just as we were about to go, I (Aaron) somehow managed to puncture a reservoir and the front right tire of the car all while backing out of the dumb driveway. Have you ever had that feeling of utter defeat? That was me. I was frustrated with the fact that we now couldn’t do what we planned to do. 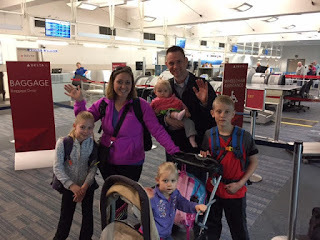 The delay seemed to affect our whole family. Kids started to melt and the mood completely changed in our house. Hmmm, where’s the blessing in that?! Well, as our kids went down for naps, I began to do research of where to go to get the car fixed. For a lot of men this kind of thing is an adventure. However, for me, this was a daunting and incredibly stressful thing. I don’t claim to know anything about cars. It’s not that I don’t want to, it’s that I’ve never made it a priority. Add to that being in a foreign country with a car I do not know and not being able to communicate in a way that I want. Where do I even start? Who do I call? And once I make the call, what do I say? I decided to ask a few more seasoned people and found some places to go. The Lord directed me to a tire store. “Yo necesito nuevas llantas por favor con un buen garantí? Cuanto cuesta?” (I need new tires please with a good warranty. How much does that cost?) When they told me the price I thought that they weren’t either being honest or probably more likely I didn’t understand them. But when I got the bill I was delightfully surprised. I still didn’t fully get the message. Then a day later after we got a nearby mechanic to fix the other issues that I caused to the car – I thought, OK here it comes… the painful reality. But I met the manager and could communicate well. He was a believer, and we had a great conversation! Then I met the owner who was also a believer. He told me that because we were students at the missionary school he would give us a great discount. My skeptical nature was still suspect but a couple of hours later I came away with only a $40 bill. In addition, I had the opportunity to talk with those 2 Christian men in Costa Rica about the vision God had laid on our hearts. Wow, encouragement can come from the most bizarre and unexpected places. The shop we used, which is closed on Sundays for worship. Does God sow the seeds of our future in the disappointments of today? Somehow, I am beginning to think this way. Biblically, I know this to be true. Experientially, I doubt more than I actually trust, especially while in the throes of frustrating or difficult circumstances. Maybe you feel like you are drowning in despair or you feel like your difficulties are outweighing the good. Maybe you’re frustrated at God with the hand you have been dealt. I know my circumstances probably don’t compare with what you may be going through, but I have had far worse than this before. And we ALL struggle sometimes in deep sorrow. But maybe, just maybe, our heavenly Father is sowing seeds of the future in the difficulties of today. And when it seems that sorrow is too difficult to bear, we need to remember that nothing may be as it appears. Maybe much is meant to be hidden from our view. 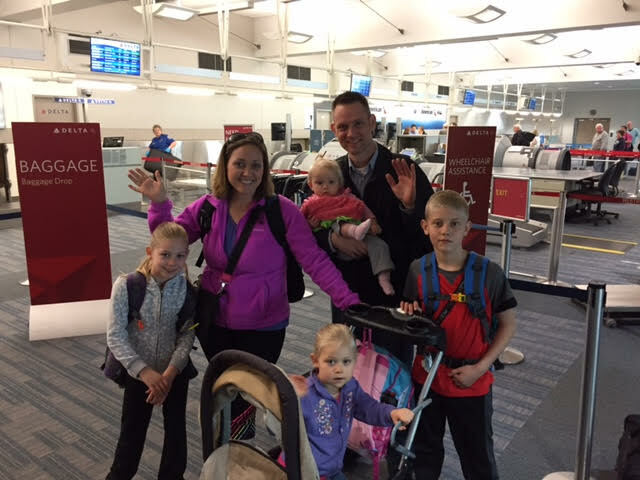 It has now been 2 months since our family left the states to serve in full-time missions. Costa Rica is where God has called us and so this is where we are! The training (as mentioned in the last blog) was lengthy but needed. Fundraising - while hard - strengthened friendships and developed new ones! Also lengthy but needed. The packing, purging, parties and goodbyes - all part of the process of leaving. Saying goodbye at Gerald R. Ford airport in Grand Rapids, MI. But now. We're here in San Jose! Spanish language school is in full swing for all of us - including our adorable 15 month old babbling baby. Immersion is part of our daily adjustments, and frankly isn't always easy. We knew it wouldn't be and for most things, by God's sovereign grace, we have met the challenges head on! Our kids are not wimps, and neither are we. We recently walked a hot 2 miles for a few errands, unfortunately on garbage day. The kiddos skipped and sung, while maneuvering around piles of trash that were potent enough to wake the dead. We clung to their small hands tightly so they wouldn't trip in potholes or cracks or trip over the homeless man who often snores soundly on the sidewalk. Our oldest owns a machete and cuts our small patch of grass weekly. He does a pretty good job and so far hasn't cut anything but the yard. Some people think we're crazy, but his dad is training him well and he loves the work. We live behind a locked gate and a metal barred door. All our windows have bars. Razor wire tops the gates and the roof line. That's just part of life here in this central american city! A new friend's home was robbed at gunpoint a few days ago and a woman was assaulted on a nearby street. We don't use our phones when we're out walking, because we'd actually like to keep them in our possession. Reality is - everywhere there is danger. As is obvious in the news, whether in the states or here in Costa Rica, Satan is on the prowl and wants an entrance into our hearts and home. Should we live in a state of fear? The answer is NO. Over breakfast this past Sunday our family read the words of both 1 Peter and Daniel chapter 6. After REFUSING to renounce his faith nor stop praying, Daniel's punishment was horror awaiting in the lion's den. Daniel offered his fear to God, and God provided an angel to shut the mouths of those hungry lions. Satan lost a huge battle that day! Word of God's faithfulness to protect Daniel spread like wildfire throughout the kingdom. Our kids have heard this story over and over, but this day we reminded them that the devil who "prowls around like a roaring lion..." wants to daily devour our love, joy and peace - especially in our home. He tries to lurk in the most sneaky places. Subtlety is often the name of his game. A word harshly spoken. Impatience. Selfishness. After a few humbling examples, one thing was obvious! Every day is a battle!! In the face of fearful or irritable moments wherever we are, we MUST remember to RESIST. Our world is not getting nicer. Satan is not letting up. HE HATES BELIEVERS! Yes, we must be sober-minded and watchful. In May Pope Francis stated that more Christians are martyred today than in ancient times. Read the story here. Days after the Manchester bombing 29 Christians (including children) were murdered for resisting Satan and refusing to renounce their faith. This violence is happening all the time. Christians martyred usually just doesn't make the main news. Okay, so this post may be a bit of a downer! But as we live out our faith here in Costa Rica or wherever we travel, it is becoming more evident of how watchful we must be. Fearful??! No. Firm in our faith? YES!! And instead of backing down when we enter the den of lions, may we dare to be a Daniel. In some ways we are the same family who left Michigan over 7 weeks ago. 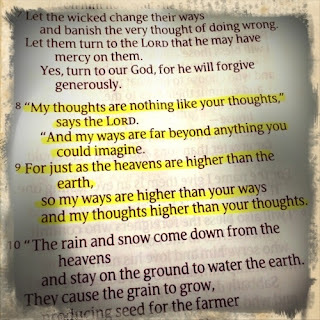 In other ways we are forever changed. God has used our time of training to teach and mold us into more usable vessels. We were stretched in ways we didn't expect and prepared for real ministry from people who have lived it. The facilitators loved us enough to speak truth into our lives even when it wasn't fun. Many of these seasoned missionaries have served in multiple countries across the globe and God has used them to impact many lives - it was an honor to learn from them. We are even more excited now to immerse into Costa Rican culture and feel we are better equipped to do so! Our days were spent learning about how culture and language affects the worldview of individuals. Why do people act the way they do in a particular culture? How did this come about? How did historical events change people forever? One example: What makes people of the United States feel a sense of security in their freedom? This is deeply ingrained in our culture. Even to the point we believe we possibly deserve it. Two-thirds of the world however, were not liberated, but enslaved. If you live in that context, it changes everything about your worldview. "It's not wrong. It's not weird. It's just different." We have adopted this mantra so that when we get to Costa Rica, the gospel of Jesus Christ speaks to the heart of the individuals we are going to minister to. Our family will not be bringing the United States to them. We are entering their world with hearts open and willing to serve and grow alongside them. God has uniquely positioned and gifted us for this people group. 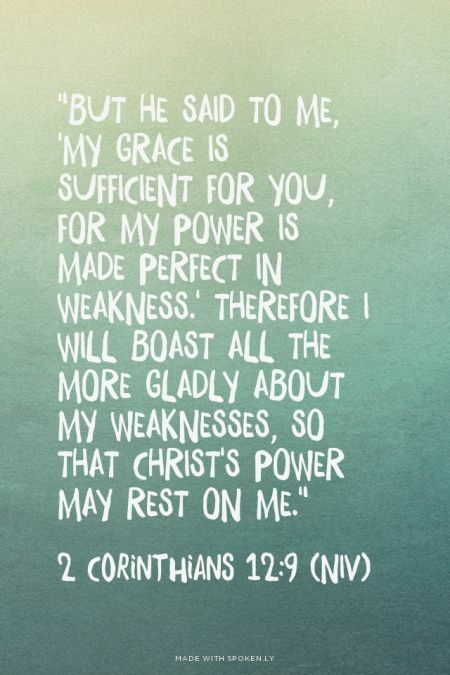 That being said, we are going in weakness and humility placing ourselves in subjection, so that we earn their trust and are able to lavish Christ's love & grace on them. We are not going to try to fix them. Only God can change hearts! Yes, our training was exhausting. Our minds and hearts were challenged! As for our children: Micah, Mia, Merry and Manna were loved deeply by the teachers, facilitators, other missionaries and their classmates. 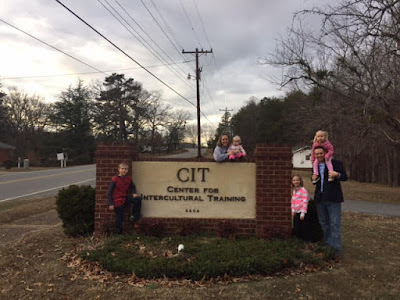 What a blessing to be at CIT as a family to grow together and be prepared for leaving the US. The unique, fun moments we captured were refreshing. We treasure these kiddos! As we leave NC - yes, we are changed. God has invited us into His plans. The work in Costa Rica is His. The language which speaks to their hearts is His, too. Gratefulness fills us as we know He is faithful to complete the work begun in us. We are honored to play a small part in what He's doing! I sat in the basement and wept. There was so much work to do before leaving for pre-field training! Piles of sweet-smelling baby clothes stuffed in totes were one of the last major items to be purged. My heart hurt. "I don't want to do this, Lord! This is hard!" Countless missionaries had moved away from home and done this before me, but that brought no comfort. How much more did I need to get rid of? Would I lose the memories if our stuff was gone? I felt silly. Other people have faced huge loss. I could do this! I would donate or sell it all! But then I peered into another tote and saw my kids fuzzy sleepers or homemade blankets, and the tears wouldn't stop. I snapped the lids closed and delayed the process for another day. Merry Joy made me smile. Our mentors and other missionaries encouraged me to mourn the loss, embrace the change AND keep the things that brought me joy!! So, I decided to keep a few (not-letting-go-right-now) baby clothes & blankets, books, my beautiful Christmas nativity and kitchen must-haves....among other practical and (not-so-practical-but-brings-me-joy) small stuff. (Kinda sad that a puppy isn't very practical at this point..hmmm...) Also, our parents offered to store a few other "keeps" here in the States. Gotta love them! I never realized it would be such a hard process. The time-consumingness (is that a word?) of going through our possessions surprised me. Our kids have taught us a lot though. They cherish only a few toys and books. Anything else needed? Mom & Dad will simply provide! I will miss family. Friends. Celebrations. Our sending church. The changing seasons and beauty of the Midwest. Garage sale deals. The accessibility of a $5 pizza when I'm too tired to cook! Daily bubble baths (ahhhh...). These things compared to what Christ gave are small. For me the loss is worth the gain. Following Jesus Christ is so worth the possibility of losing material possessions! Today, I have given myself grace in the packing process, and maybe a little extra luggage space...just in case a few more favorites need to join us on our cross-cultural journey. Who knows...down the road if I brought something to the mission field that we don't use, it may be the perfect gift to bless a new friend! This morning marks the first day of the last month I will be employed by a public professional company…at least for the foreseeable future. If you happened across this page not knowing our story; God has called our family into full time missions work. God has invited us to move 3700 miles almost directly south of Michigan to Costa Rica. If you have followed our story then this is no surprise but the reality of time passing catches us off guard at times. This move will take place later this year if the Lord wills. As I reflect on everything that this move means and represents, so many thoughts flood my mind. It is easy to allow my mind to reflect on regrets and missed opportunities, but I know that for all of my inadequacies God has orchestrated and prepared me, my family, friends and those receiving us for this very time. I had the opportunity to present briefly at a church in Jenison, MI yesterday, and as I was driving home I contemplated one thing that seemed pressing; the one thing I really want people to be left with is the reason why we are going! So, WHY ARE WE GOING? You might ask as many others have – why go somewhere else when there are so many opportunities to minister locally? Why don’t you want to be near family? Aren’t you afraid of the dangers that await you? I could list a hundred questions here - so insert your own - but the answer is that GOD CALLED US and WE ARE GOING TO OBEY! God gives us all multiple chances to obey and I can honestly say there are some things I said “No thanks – not interested God”. For many years I held a belief though I never said it out loud, that God wanted to give me a comfortable life…safe for me and my family! The last several years God has told me over and over again that He loved me unconditionally AND we went through some really hard things. C.S. Lewis once said, “The son of God became a man to enable men to become sons of God”. What a great statement but at what cost? WHAT IS THE COST? For those of you who know me well, you know that Ravi Zacharias has been instrumental in my development as a believer and my thinking. In Ravi’s book The Grand Weaver, Ravi says, “Only if you are willing to pray for God’s will to be done and if you are willing to live the life apportioned to you, will you see the breathtaking view of God”. Most of us would agree that if we do not listen and obey the voice of God our lives probably are not going to reflect His glory very well. But those of us who do choose to walk in His light will reflect as Moses did the glory of the mountain even though we have come down into the valley. 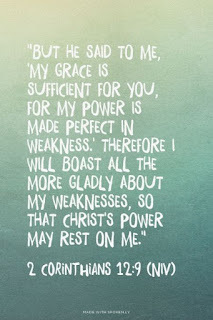 This is my prayer for all of you reading, that you will weigh the cost and see as it says in Romans 8 that the cost is nothing compared to the future glory that will be revealed in and through us! ALL GLORY TO GOD – for it is only by His grace that we have a role to play, and an inheritance we did not earn. Sign up here with your email address so you don't miss new blog posts!